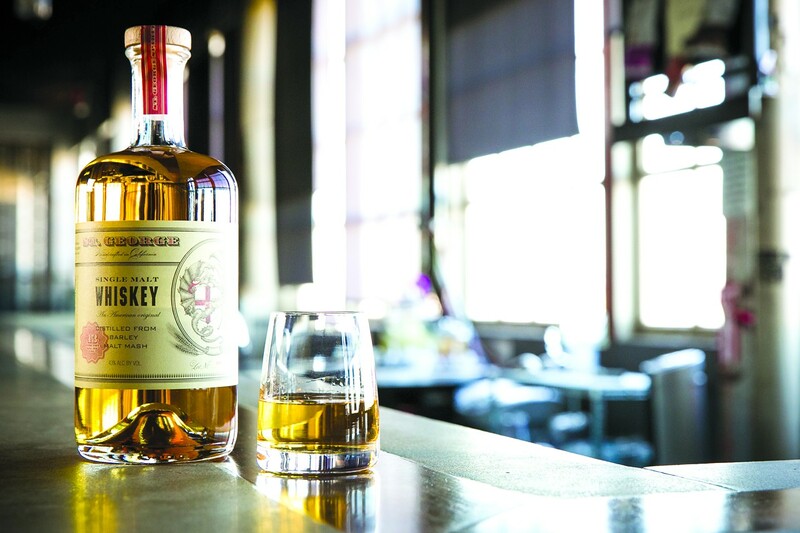 As cocktail connoisseurs explore the Bay Area's beverage bounty and continue to reach for the ever-more unconventional libation, local creators of spirits feel the demand for innovation. Unfortunately for our livers, distillers have risen to the occasion, experimenting with new techniques and ingredients in a never-ending hustle to secure a coveted spot at the bar, where we can't help but order them over some obnoxiously large orb of ice. Here are five of our favorite Bay Area craft distilleries pushing the elixir envelope right now. Pay them a visit and collect some spirit-sipping tips and tidbits about the hooch Smitty's been mixing into your fancy cocktails—specifically the ones that take forever to make. So what are you waiting for? We've got lots of drinking, we mean research, to do. You can't talk about cocktails in the Bay Area without paying homage to St. George Spirits, the OG American craft distiller in operation since 1982. Housed in a retired airplane hangar overlooking the bay, with views as dizzying as its booze, St. George Spirits' are the work of master distiller and artisan Lance Winters, who approaches each batch as a means of self-expression. The distillery is best known today for its single malt whiskey, Absinthe Verte, California Agricole rum, and their gin triple-threat (Botanivore, Terroir, and Dry Rye), but the flavored vodkas often prominently feature on local bar menus (the green chile–infusion packs some heat for a larynx slap and tickle on its way down the hatch). Once at the Alameda tasting room, you can pick your poison for up to six tastes ($15 Wednesdays through Sundays, no reservations needed), or make time for the hour-long distillery tour ($20), a crash course in spirits. Tours end with a tasting, so it's five bucks well spent.